“Common rail”refers to common rail direct injection, wherein the fuel is compressed at a high pressure of 1,300-1,400 bars using a highpressure fuel pump and injected from the injector. Problems, including vibration noise and exhaust gas, are remarkably improved in this engine type, and its fuel efficiency is higher than that of gasoline cars. In the common rail diesel engine, the fuel is directly injected into the combustion chamber, unlike in existing engines wherein the fuel and air are supplied to the combustion chamber through the mixer. Thus, lightweight engines can be manufactured because the engine has higher efficiency, produces less pollutants, and allows control without any connection with the engine. The fuel from the fuel tank is compressed at a high pressure in the high-pressure pump and supplied to the common rail. The rail pressure sensor detects the fuel pressure and controls the fuel with optimally set values according to the engine rpm and loading. The common rail fuel is fed into the injector through the fuel pipe, and its injection amount, injection rate, and injection time are controlled according to the pulse signal that is transmitted to the three-way valve. The core part of the common rail system is the injector with a solenoid valve, which is mounted on each cylinder. The ECU controls the injection of the injector by controlling the solenoid valve. The major feature of the common rail system is that the ECU precisely controls the time, quantity, and rate of the fuel injection, as in the gasoline engine, so that it maximizes the combustion efficiency, improves the fuel efficiency, and reduces the exhaust gas. The high-pressure pump, which produces high pressure by supplying fuel to the common rail, is one of the very sophisticated vehicle parts and can break down due to fine dust or foreign matter. In addition, the moisture from the CRDI system directly causes corrosion on the high-pressure pump or stoppage of the engine. The diesel fuel changes into the liquid or semi-solid gel state due to the waxing phenomenon when its temperature drops under a certain point, and its low liquidity leads to the stoppage of the fuel supply and makes it impossible to start the engine. The fuel filter activates the heater and liquefies the fuel when the temperature drops below a certain point. The fuel filter is installed on the line ahead of the high-pressure pump to prevent the waxing phenomenon. 1. The low-pressure pump is activated at a fuel pressure of 6.5-8.5 bars and supplies fuel to the fuel filter. 2. The fuel flows through the inlet via the opening of the lowpressure pump, and is filtered through the cartridge flows through the outlet to the highpressure pump. 3. If the fuel temperature in the inlet is -3±3℃ or lower, the internal bi-metal is switched via the detection of the thermostat switch temperature. 4. With the thermostat switch switched on, the current is supplied to the relay and the contact is closed. The current is supplied to the heater assembly. 5. In the heater assembly that is supplied with the current, the internal PTC element is heated and maintains smooth fuel flow by raising the fuel temperature above 0℃. 6. The fuel that has passed the heater assembly is fed into the cartridge. Foreign matter and water in the fuel are filtered, and the clean fuel flows into the outlet. 7. The moisture in the light oil is filtered in the cartridge. The water sensor LOD detects the 58±5-cc level at the bottom and sends electrical signals to the ECU. The ECU in turn sends electrical signals to the moisture warning lamp in the instrument panel. 8. The fuel that is fed into the high-pressure pump is fed into the injector. 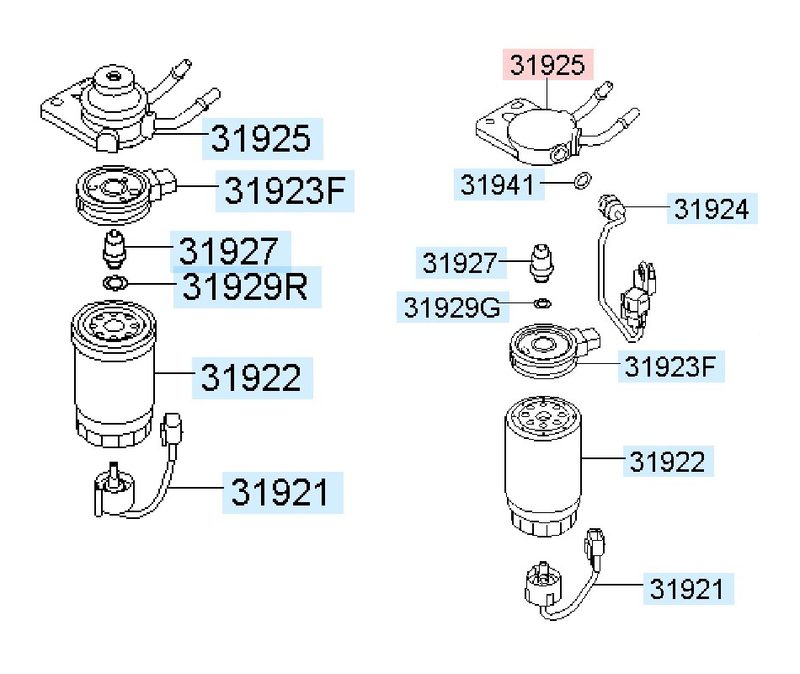 Teh fuel filter structure varies according to the vehicle's common rail system. 1. Wire length varies by model. 2. Connector specifications vary by model. Sensor Detects the waterfiltered at the cartridge and accumulated at the bottom The moisture sensor operates for 3-4 seconds after the initial starting and then switches off. 3. Tube type varies by model. - P.P (1) layer : In the P.P (1) layer, the hydrophobicity is stronger than that in the general cellulose filter paper, but weakest among the usable synthetic fibers. Polypropylene is mostly used. Regular-sized water particles are formed while they pass through the nylon layer, which has medium-sized pores, and the large water particles formed through the P.P (1) layer with large pore sizes cannot pass through the P.P (2) layer with small pore sizes and fall down. The car engine is very sensitive to external harmful substances such as dust during running. The fuel filter functions to remove hamful matter from the fuel, which is mainly buried in the fuel transportation process. Clean fuel is essential for good engine efficiency. Failure to do so will adversely affect filtration performance, fuel pumps, fuel lines and injectors. Protect your car from harmful matters to threat engine durability. i-filter will be with you. The car engine is very sensitive to external harmful substances such as dust during running. The air filter which is called an air cleaner, protects the engine from harmful substances, dust and particles especially during air intake. Protect your car from harmful matters to threat engine durability. i-filter will be with you. 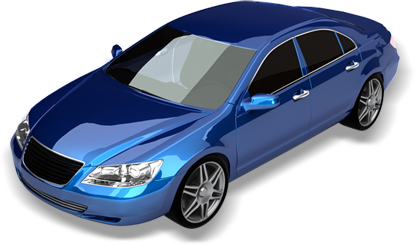 The car engine is very sensitive to external harmful substances such as dust during running. The major role of oil filter is filtering engine oil to circulate the engine lubrication system. In other words, it filters the metal particles in engine oil generated during engine running and allows a direct role in preventing engine wear and improving durability. Protect your car from harmful matters to threat engine durability. i-filter will be with you. The car engine is very sensitive to external harmful substances such as dust during running. The most important thing in a car air conditioner system is the air volume and air quality that comes out of the VENT. Air-conditioner filter keeps discharged air clean to improve indoor air quality. Protect your health from harmful matters. i-filter will be with you.